Webinars are one of the best ways to convert users to your products and services. However, they’re only as successful as the number of people that show up for them. It means you’re going to need to roll up your sleeves and promote your webinar if you want to see some serious results. Using video to get the word out about your webinar can prove quite effective. After all, nothing says prepared like a well-executed promotional video. In this article, we’re going to talk more about why video is a great medium to promote your webinar, then walk you through four steps to help you pull it off. Let’s get started! Creating a promotional video for your webinar is one of the most effective ways to get people to attend the event. On the whole, a promotional video is focused on marketing your services and products. In most cases, they tend to be rather short, but they still offer a great opportunity for people to see you or just hear about what your offer is directly. In short, they’re ideal for offering a sneak peek at your webinar. Some people prefer to watch videos over reading. A lot of people limit their marketing efforts to the written medium. That isn’t necessarily bad, but it may drive away a section of users who prefer to digest content through video. It can make your event look more professional. Going through the effort of putting together a promotional video can help make you seem more prepared. Plus, as long as the video is good, you could get more attendees! You can use it alongside other marketing methods. There’s no reason to limit yourself a single marketing channel. In fact, it makes sense to get the word out about your event through as many methods as possible, such as video, social media, and email. Now we’ve covered the why, it’s time to get practical and talk about how you can put together your own webinar promotional video (even if you’re new to the medium). Before we jump in, it’s worth mentioning the advice you’ll read here applies to practically any type of promotional video. While we’ll be focusing on promoting your webinar specifically, you can also refer to each step if you want to promote different content. Let’s get to work! Figuring out the equipment you’ll need is critical, since without it you won’t be able to shoot your promotional video. Making a list here will enable you to tick each item off once it’s ready, and you won’t need to postpone your recording to get what you need. Get your camera or screen recording software ready. Test your recording equipment/software to make sure it’s working properly. Make a list of any props or other items you’ll use during your promotional video. Tick off each item once it’s ready and you’ve tested it. Once your equipment is ready, you can move on to preparing your video itself – i.e. working on your structure and script. We mentioned earlier that promotional videos tend to be rather short. However, it doesn’t mean you should go into yours without preparing a script that covers everything you’re going to say. There are several benefits of using a script. Ultimately, you’ll come across as more prepared since you won’t have to stop and think about what you’ll say next, which gives your video a much better flow. Plus, using a script enables you to rehearse beforehand, which is something we’ll discuss in a minute. Create a rough outline that covers all of the points you want to hit in your promotional video. Flesh out each point and write down what you want to say in each section. Go over your script and make sure its tone matches the rest of your content. Keep things concise. If you feel that your script is dragging on, chances are your viewers will as well. Include a Call to Action (CTA) in your script that prompts viewers to attend your webinar. As far as step number four goes, keep in mind the optimal length for a promotional video is about two minutes. That should give you enough time to talk up your webinar and its benefits for your audience without dragging things on. Of course, if you can manage to make yours even more concise then more power to you! The question is, how do you figure out how long it’ll take you to cover your script? By rehearsing it, of course! Rehearsing your script may sound like overkill for a short promotional video, but it can actually save you a lot of time in the long run. For example, some people find it easier to spot inconsistencies in their script while reading it aloud. Plus, this way you’ll have a good idea of roughly how long your video will be, which will enable you to adjust your script if necessary. Stick to the conditions you want to see in your final video, such as your location, the lighting, what you’ll wear, and anything else pertinent. Make an effort to sound as natural as possible, so your video doesn’t come off as too ‘salesy’. Keep rehearsing your script until it flows naturally, in case you’re not comfortable with recording yourself. Review your footage once you’re done to see if there are any issues with your script, equipment, or your location. If you think this sounds like a lot of work, you’re not entirely wrong. However, even a couple of rehearsals can drastically improve the quality of your final recording, and given the length of your video, it shouldn’t take too long. If you’ve followed our steps so far, you’ll likely have a finished promotional video for your webinar that ticks all of the right boxes. Your next move should be to get it in front of as many viewers as possible. Fortunately, there are a variety of ways to promote your video. For example, social media and your WordPress website are just two that spring to mind. The more eyes you get on your video, the greater number of viewers that could potentially attend your webinar and convert – so the effort is well worth it. Publish your video on every channel where you already have an established presence. 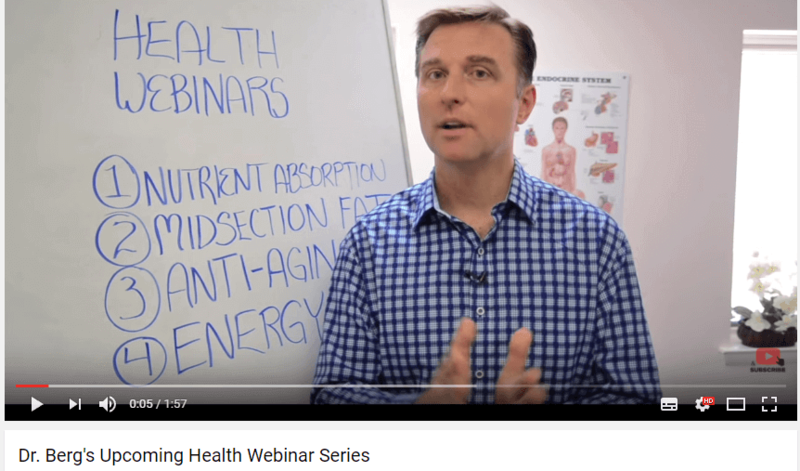 If you’re using email to promote your webinar, include your video in one of your messages. Try to include an introduction that uses your website’s logo for branding purposes. Ask your user base to share the video with anyone they think might be interested in your webinar. Of course, you’ll also want to include your promotional video on your website. However, without a dedicated landing page for your webinar, you may have trouble fitting it in. If that’s the case, we recently produced several landing page layouts for Divi you can use to set an effective one up quickly. There are plenty of ways to promote your webinar, and using a video is one of the better options. Even a short recording can make your event look that much more professional, and you can also combine it with other marketing methods too. For example, email marketing is an excellent way to get your video in front of as many eyes as possible. Choose and prepare your equipment. Structure your video and prepare a compelling script. Do you have any questions about using video to promote your webinar? Ask away in the comments section below! Article image thumbnail by Sentavio / shutterstock.com. These are some excellent suggestions. If a real video is created i suggest a tripod even if you are using a cell phone as well as a decent microphone.